Posted: Tuesday, December 6, 2016. 4:01 pm CST. By BBN Staff: On Saturday, Guatemala held its first annual Reina Garifuna del Caribe (the Miss Garifuna Caribbean) pageant. It was held at the Malecon Cultural Park in Puerto Barrios, Guatemala. Asociacion Amigos para el Desarrollo de Izabal in collaboration with the Ministry of Culture and Sports of Guatemala planned the event. Its purpose was to bring unity to Garinagu within the Caribbean diaspora and assist with the preservation of Garifuna culture. Contestants from Belize, Guatemala and Honduras attended the pageant. 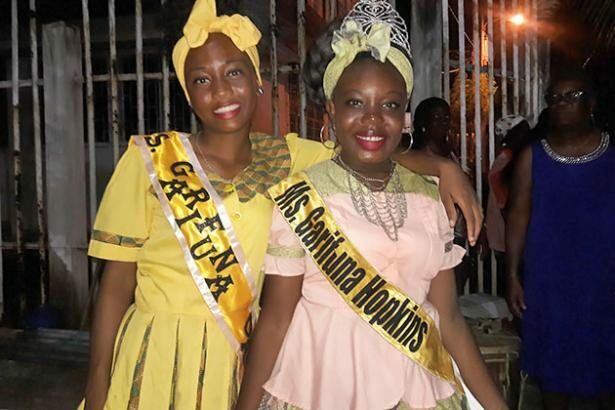 The National Garifuna Council of Belize announced that Ms. Sabrina Solano of Hopkins Village is the Reina Garifuna del Caribe for 2016-2017, while Ms. Kaylin Mejia of Dangriga was the first runner up in the pageant. The National Garifuna Council of Belize congratulated Ms. Solano for her victory and for making Belize Proud.